Men’s Convict Costume including top, trousers and hat. 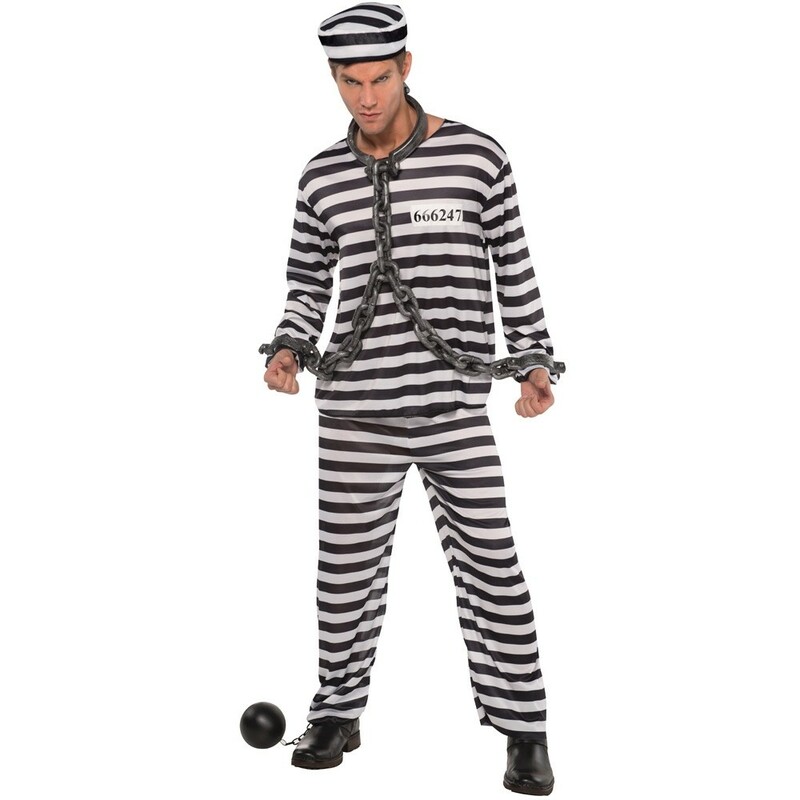 Men’s Convict Costume- Slip into these stripes and let yourself be detained at Her Majesty's Pleasure. However long your sentence, you'll quickly identify soul mates and cell mates with a taste for porridge. This Men’s Convict Costume is the perfect costume for a stag party. Available in sizes Standard (up to 42" chest) and Plus Size (up to 52" chest).